Makes 12 rolls, or 36-48 slices. Slice tempura shrimp in half lengthwise. Roll the sushi inside-out, using 1/2 a sheet of nori instead of a whole sheet, and 2 slices of tempura shrimp (one whole shrimp) as your filling. 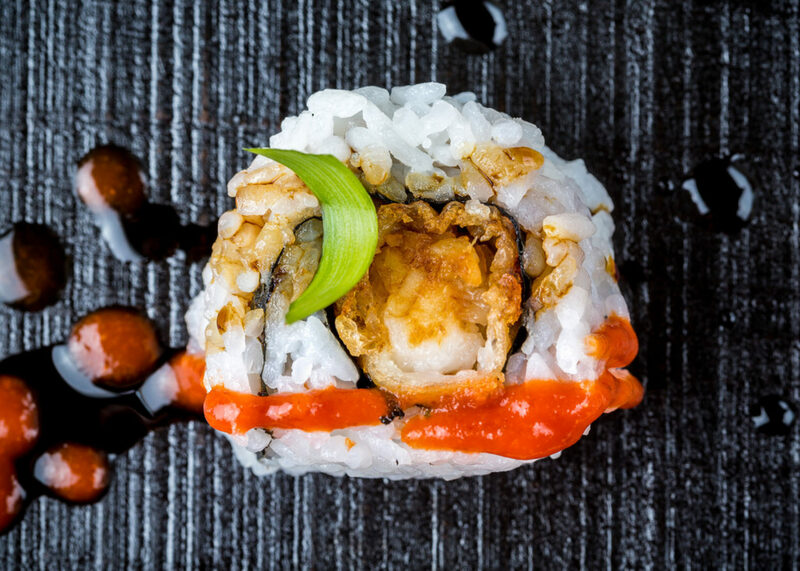 Drizzle teriyaki sauce over the roll, and squeeze a stripe of hot sauce along the roll. Enjoy! Oofah! Be still my beating heart. That makes me crave…. yum yum yum. I fast 4 times a year, so @ the moment I am fasting no food 4 15 days, I eat Japanese cuisine often and can’t wait till I can’t been in paradise again.